In January 2013, Reverend Chris Donald came to Millsaps College as the new college chaplain and director of religious life. 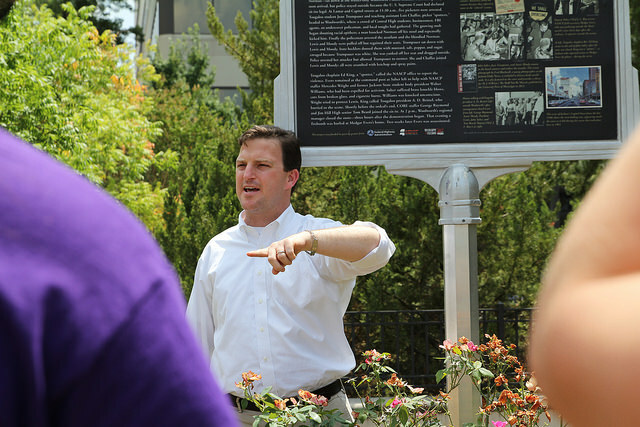 While at Millsaps, he has presided over the Challenge program, Wesley Connection and other organizations. This past week, Rev. Donald turned in his letter of resignation to Millsaps president, Dr. Robert Pearigen. Students also reflected on their experiences with Donald as they discovered his plans for the future. Lucy Kaplan, freshman, remarked, “Chris is such a great guy who really cares about Millsaps’ students and faith culture. [I] love him.” She recalls him as being one of the first people she met when she came to Millsaps, and their continued friendship ever since their meeting at Fourth Night. Donald will be focusing on obtaining his doctorate from Vanderbilt University. This also will allow him to be with his wife, who is in residency at Duke University Hospital in North Carolina.